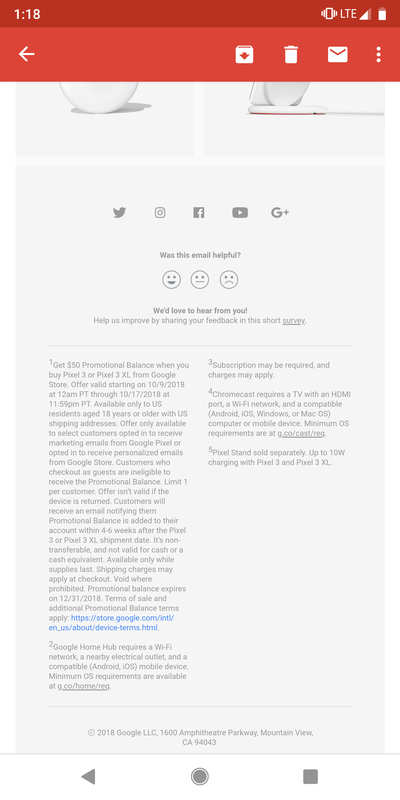 The Google Store $50 credit is finally being delivered to Pixel 3 customers. 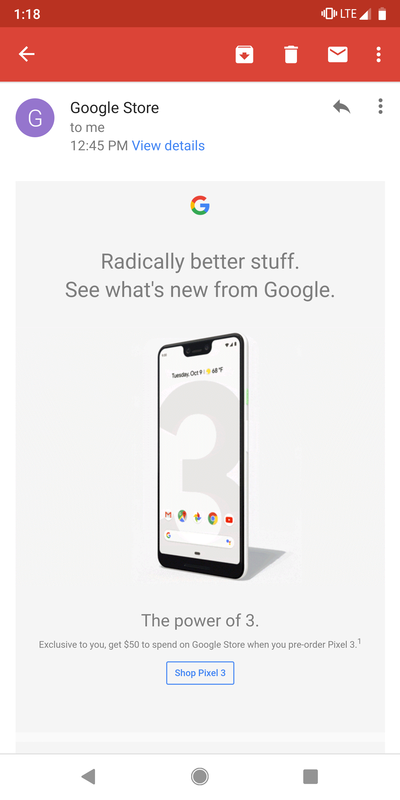 With the Pixel event wrapped up, many eager customers are likely scoping out the best place to pre-order the new devices. For some U.S. customers, ordering from Google directly might be the best option. The company is now offering a $50 Google Store credit to people who signed up for Pixel marketing emails. 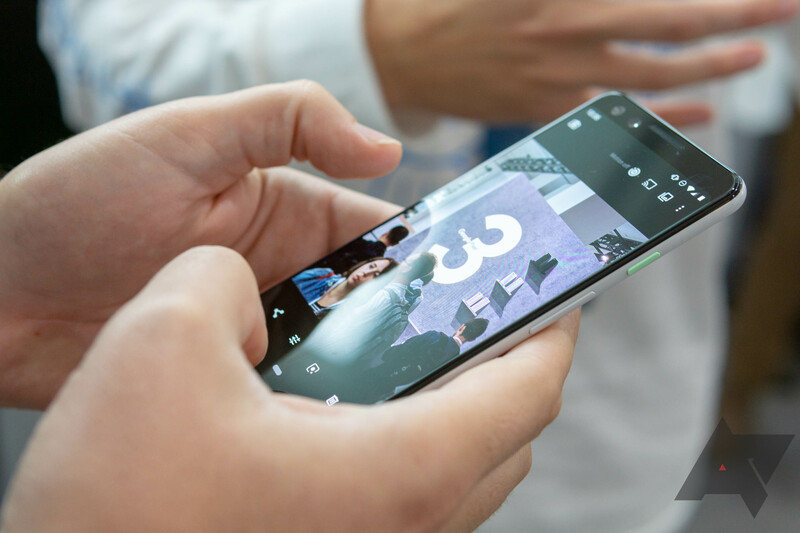 The offer is valid until October 18th, when the first devices begin to ship. After a qualifying order ships, customers will be notified of the credit within 4 - 6 weeks. 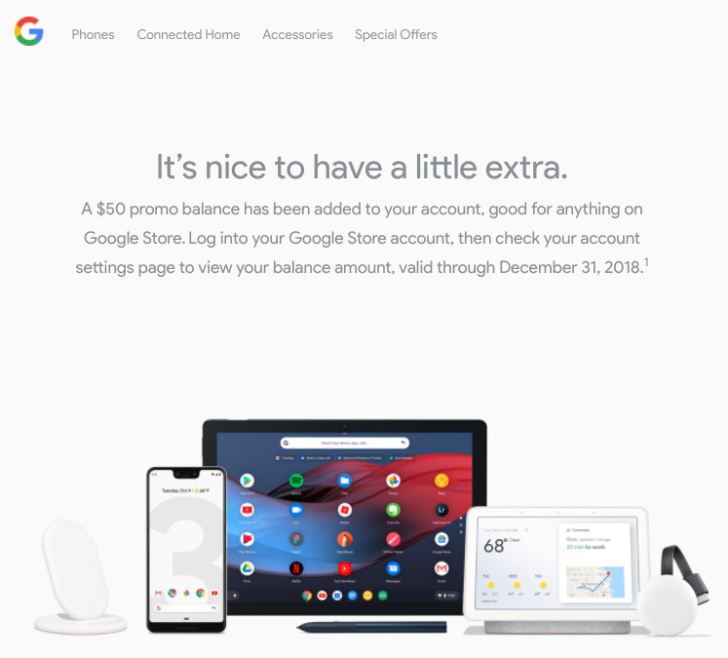 In order for this promotion to work, you must check out while logged into the Google Account which received the email. Returning the device also nullifies the offer. Here are the terms of the promotion if you want to check whether you're eligible.